When will we see the like again? The curtain was drawn on the 2014/15 table tennis season this week and St Andrews Table Tennis Club again demonstrated the depth of its talent and the substantial progress it has made this year. On Tuesday, Dave Beveridge, Robert Brown and Collin Bleak dominated the group stage of the Gillis Cup at Ward Road with all three progressing to the semi-finals. Robert beat Dave 3-0 in the first semi, although he didn’t get it all his own way. The first two games were especially close and Dave will rue squandering four game points in the first of those. Collin lost his semi 2-3 to the rising star of the district, Darren Mitchell, after being ahead 2-1. Again the tight scoreline says it all. It was almost an all-St Andrews final. Rob got the final off to a good start, winning the first game 11-7, but his concentration lapsed in the second game, fouling three serves, and that was enough of a sniff for Darren, a talented youngster, to get back into the match and win the next two games to claim victory in the Gillis Cup. The consolation competition for the players eliminated from the group stage was won by St Andrews’ king of the dance floor, big Dave Goddard, reflecting the strength and depth of the St Andrews’ squad this season. 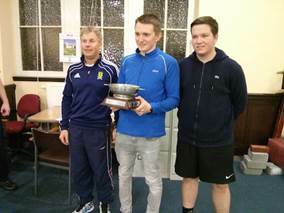 The previous week saw the final team event of the season with the Chris Halliday Cup taking place at Ward Road. Played in a unique format of one game up to 61 points and with teams allowed to rotate their players after no more than 10 points, St Andrews again showed how far it has come this season when Swots (Dave, Robert and Emma Bissett) and Prospects (Maxi Strobl, Dave Goddard and Sandy Pearson) both qualified out of their groups to reach the semis. That was the end of the joy though. In the semis, Swots lost to league rivals Comets, playing with an unusual lack of composure, and Prospects lost to the eventual winners, Lairds, for whom the aforementioned Master Mitchell was again prominent alongside young Blair Duncan and their mentor, Eddie Dougan. New Kids – preserved their first division status in sixth place. Prefects – Division 2 champions. Swots – Division 3 Champions, Handicap Cup runners up, Gillis Cup runner up (Robert Brown). Prospects – fifth in Division 3. 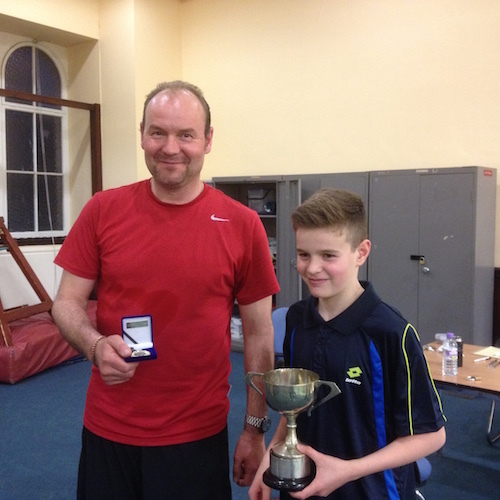 Youths – DDTTA Minor boys champion – Murray Paterson. The preparation for 2015/16 starts now. 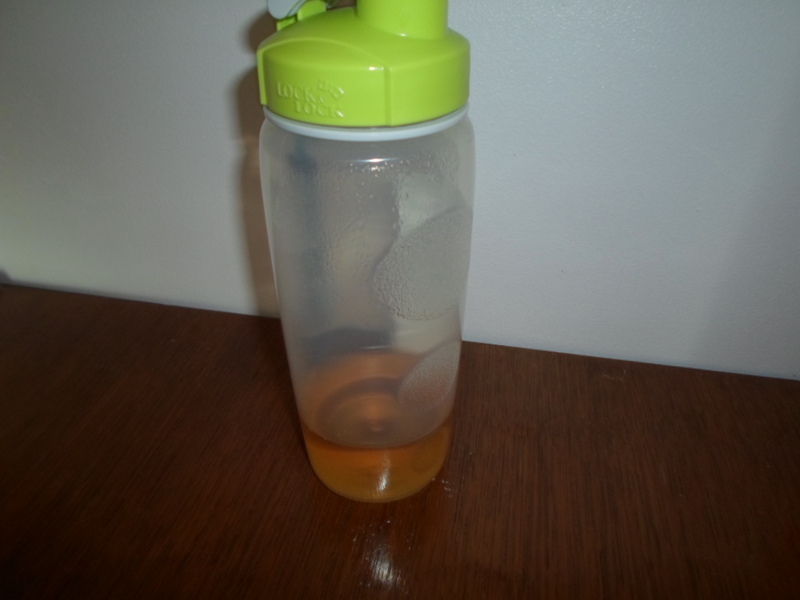 This entry was posted in Match reports, St Andrews Table Tennis Club on April 22, 2015 by standrewstt. The sole action this week was at Ward Road, Dundee on Monday when Swots were aiming to ‘do the double’ by adding the Handicap Cup to their Division 3 title. Their opponents were second division Chieftains. With Swots playing on the Ward Road ‘show court’ set up for the first time, plenty support for our guys in the balcony, and with ‘Howard Lee TV’ recording events, it was a fine occasion that simply didn’t produce the outcome that we had hoped for. In fact, it turned into a pretty comfortable victory for Chieftains, who thoroughly deserved their win. Jack Bell was especially impressive and gave the Swots players a lot of trouble with his fast serves and vicious forehand. Jack beat Dave Beveridge with a bit to spare in the first match, but then Robert Brown got Swots back on level terms with a good 2-0 win over Bruce Duncan. Although they played well, not much went right for the St Andrews team after that though. Three games that went to tie-break points were all clinically finished off by Chieftains and Dave, Robert and Emma Bissett were all guilty of squandering good leads in games that might have got them back into things. It was a good indicator of the jump from third to second division for Swots, who know they have a lot of training to do over the summer. Final score, Chieftains 10, Swots 2. 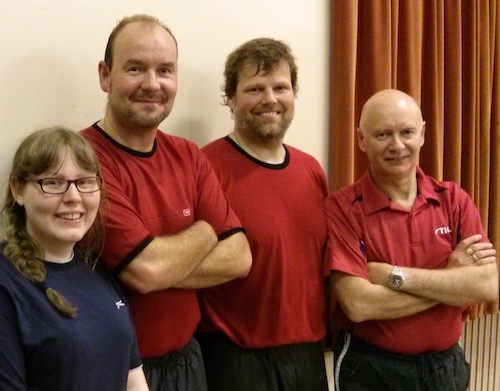 This entry was posted in Match reports, St Andrews Table Tennis Club and tagged Bruce Duncan, Chieftains, Dave Beveridge, Emma Bissett, Handicap Cup, Jack Bell, Jim Tawse, Robert Brown on April 7, 2015 by standrewstt. Although much anticipated, we couldn’t have expected all of the drama, suspense, tension and excitement that unfolded in the world of St Andrews Table Tennis Club this week. The action on Monday in Victory Memorial Hall saw Swots take on Tigers in Division 3. With Emma Bissett away, Dave Beveridge called on loyal reserve Collin Bleak to make up their team. Already promoted, Swots had it in their own hands to finish top, but that required winning 10-0 against a team that was previously unbeaten. If not, they had to match the points earned by Comets, who were playing Lairds in Broughty Ferry. Swots got off to good start. They also got off to a good middle; and almost a stunning end. Unbelievably, Swots surged into an 8-0 lead. Dave then went 1-0 up on Kenny McLaren in match nine but was struggling with Kenny’s serves and, although the last three games all went past deuce, Dave eventually succumbed 3-1. With Dave buried under his towel, Robert Brown disposed of Charlie Ross in straight games to complete a remarkable 9-1 taming of the Tigers. In the end, it was more than enough, much more. Comets lost heavily on their worst night of the season and Swots took the title by seven points. Implausible, beyond expectations…it was simply meant to be. This makes it a hat-trick of Division 3 titles for the Swots, having been previously been crowned champions in seasons 1980/81 and 2004/5. A final mention has to go to Robert Brown who ended the season on a 90% average. If he had been fit to play in the penultimate fixture he would surely have secured the top spot in the Division 3 averages. relegation. Kong and Ken have played for the Prefects throughout most of those 14 years with Kong refreshed during matches by his secret sustenance – beer (non-alcoholic, of course). Prospects’ season was over last week but with other teams completing their fixtures we can now report that our guys finished in the top half of Division 3, in fifth position, just one point behind Lairds. Well done Maxi Strobl, Collin Bleak, Dave Goddard, Emily Howat, Sandy Pearson and our esteemed chairman, Neil Lea. New Kids’ final fixture in Division 1 was conceded by Defenders as they could not field a team, and no alternative date could be found to play. It’s not the way we like to win, but the points awarded to New Kids are sufficient to guarantee that they will play in Division 1 again next season. Well done to Peter Bladen, Nick Shepherd and their top performer, Michael Hahn, who ended the season on a truly remarkable 83% average. So, with the club’s league fixtures complete we can report with some pride that all four of our teams met or exceeded their targets and expectations for the season. With Swots in the Handicap Cup final next Monday and the Gillis and Halliday Cups still to be played, there may yet be more to come…. 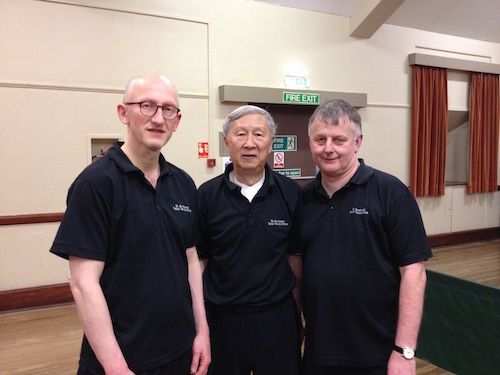 This entry was posted in Match reports, St Andrews Table Tennis Club on April 3, 2015 by standrewstt.